“The Michigan Department of State has been provided with information regarding the violation (ticket) information listed above. Based on your driving record, you are eligible to participate in Michigan’s Basic Driver Improvement Course (BDIC) program. 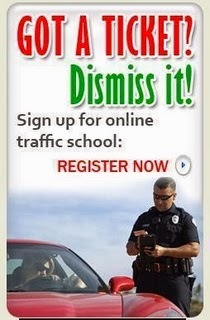 “The Basic Driver Improvement Course in optional and works like this: Drivers who receive minor violations may take the course for a fee not to exceed $100. If they successfully complete the course, any points stemming from that violation are not placed on their record. In addition, the violation and points (if any) will not be disclosed to their insurance company. “The course, for your convenience, may be taken online or in a classroom setting. If you choose to participate, you must successfully complete the course on or before midnight of the deadline below: “If you do not successfully complete, or elect not to take the course, the violation will be added to your driving record and made available to insurance companies.